i have a thing for frame bags. i remember playing in my mom’s closet when i was little, and finding her frame bags and just opening and closing them. some of the hinges and closures were so cool. yes, my love of bags began in my mom’s closet. there was a vast array of purses to choose from. she was seriously into Aigner. she also had this patchwork leather satchel in colorful neutrals – totally ’70s . i wish i knew what happened to that bag, because i would rock it with abandon. so when i saw this Oroton frame bag at my favorite goodwill, i thought ok, this could be cool. it reminded me of something my mom would own. i got closer and touched the leather, opened and closed it a few times, and was completely on board. now, i had never heard of this brand, but that wasn’t going to stop me from making a purchase. i was just happy to have something that reminded me of mom. here’s another case of a bag that i don’t carry often, but i just like to look at it. it’s saturday, and i spent most of the day at home. i did go out to the library, so it was time to choose a purse. i went through my usual reticence about making a selection, and in frustration i impulsively grabbed this purse. i like carrying bags on my wrist or by the handles, so that was nice. the quality is amazing. 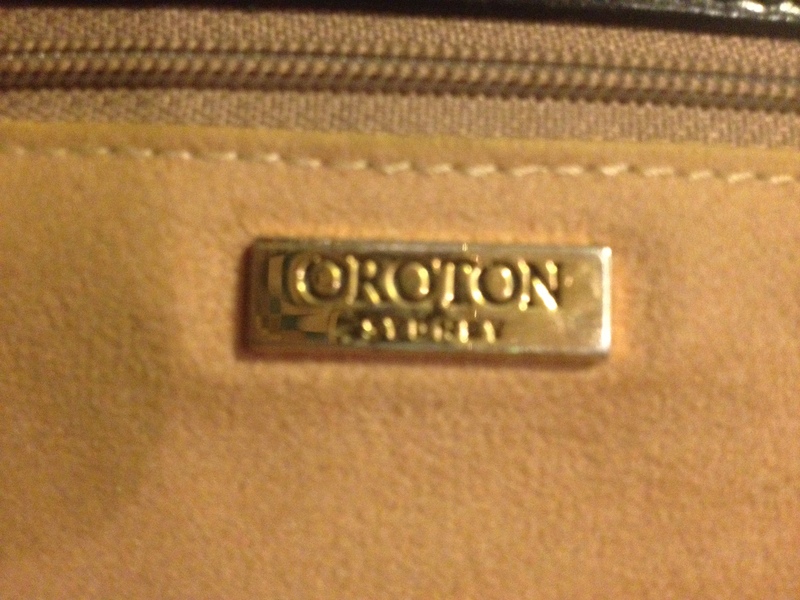 so i googled it earlier, and found out about Oroton. Made in Sydney, Australia, “luxury” bag makers, high end stuff. then i tried to find a picture of my exact purse. i could tell from the style that it was a little older, so i wasn’t sure i would find it. and then, there it was – on ebay.com.au where the bidding began at $79 and is up to $182.50 with a little over 5 hours to go. i paid $8 for mine. score, and a great reminder of someone i deeply miss. 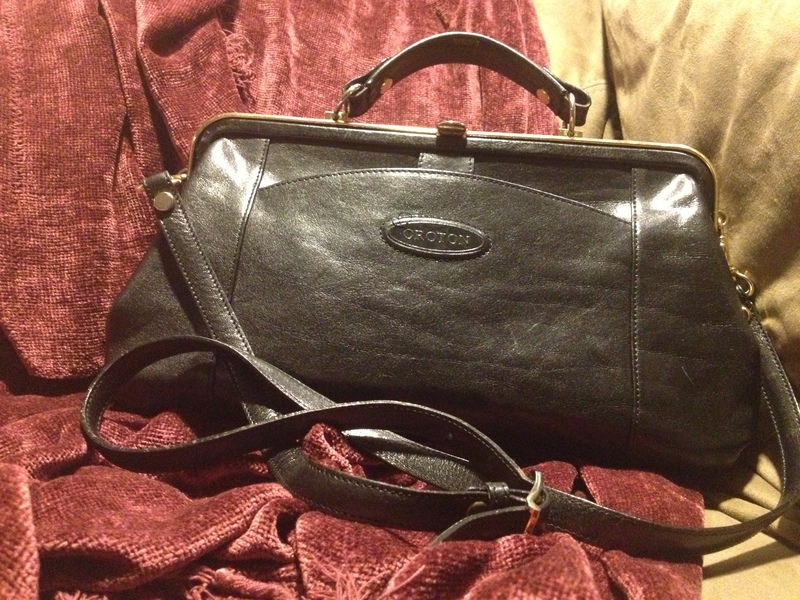 This entry was posted in thrifting and tagged Accessories, black, frame purse, Goodwill Industries, Leather, Luggage and Bags, mom, oroton, Shopping, Sydney, thrift store, thrifting on April 20, 2013 by miriamgmck.